I love anything in white, black and grey but you will agree with me that summer has to have a bit of colour and this year I have really been trying to embrace more shades in my outfits and it is so much more fun. Which is why there is one particular trend I (alongside major fashion bloggers) am loving and that is the pom pom trend. It is very unlikely that you have not seen this all over social media and if you haven't, where have you been?! 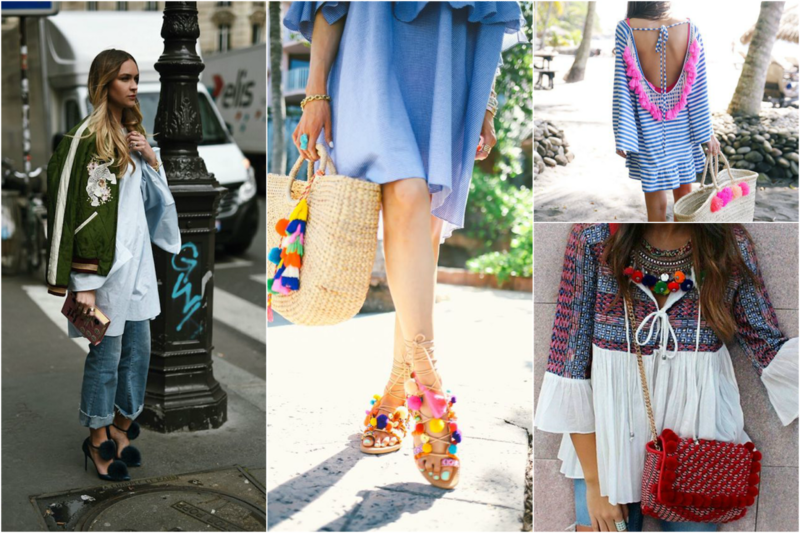 The pom pom trend has taken Instagram by a storm and it is permeating everything from accessories to footwear! Thoughts on the pom pom trend? Let me know below! Thanks for reading beauties and Happy Friday! Pom poms seem so interesting. I don't have anything with pom poms on them, but would mind one piece. Love this trend! Great picks Pam!! Great picks dear! I love the save version, so cute! I don't think this trend is for me, I feel like I'm too old for it and it's also something that looks a little dated once the trend has passed. That said, some pom pom on an off shoulder top looks fun! Love pom poms on bags and shoes. Beach bags look super cute. I haven't seen poms poms on anything except bags as they are the key chains, and this is in the UK and Canada. weird~! They surely are very fun and everywhere. I'm loving the trend too Pam. Have a great weekend darling. 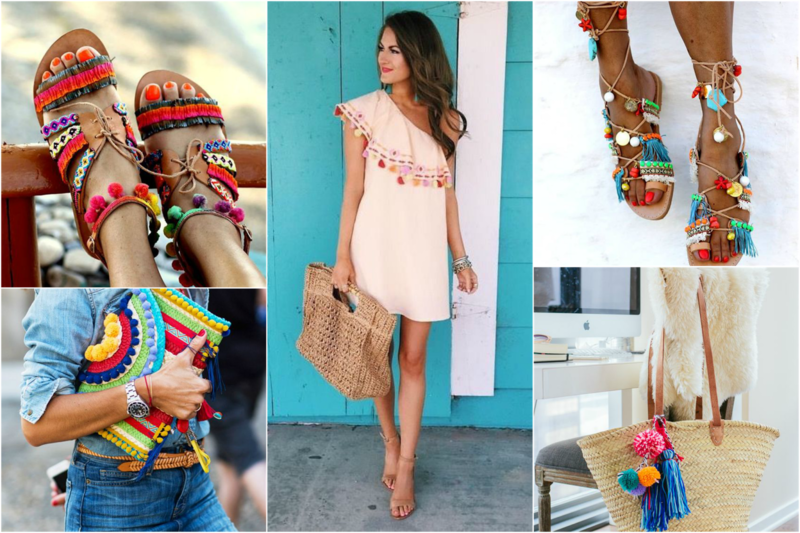 I love the Pom Pom sandals! so cute and I don't have anything like them! Pompom trend I think is the right choice this summer, cute pictures! i love this post, pom pom is a thing now and I think I love it too! I love the pom pom shoes and bags, so bright, colourful and fun! I really love this trend! I must pick up some pom pom shoes! I love this trend! Great post! I love colorful pom poms <3 They look so cute & give the perfect holiday vibes!! Amazing post, I really enjoyed!